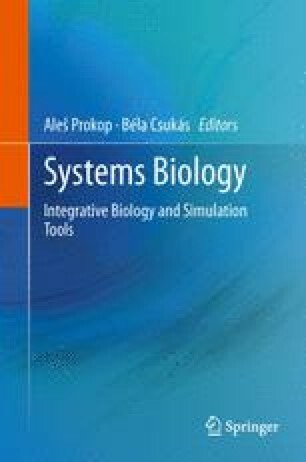 This chapter presents a survey of recent methods for reconstruction of time-varying biological networks such as gene interaction networks based on time series node observations (e.g. gene expressions) from a modeling perspective. Time series gene expression data has been extensively used for analysis of gene interaction networks, and studying the influence of regulatory relationships on different phenotypes. Traditional correlation and regression based methods have focussed on identifying a single interaction network based on time series data. However, interaction networks vary over time and in response to environmental and genetic stress during the course of the experiment. Identifying such time-varying networks promises new insight into transient interactions and their role in the biological process. A key challenge in inferring such networks is the problem of high-dimensional data i.e. the number of unknowns p is much larger than the number of observations n. We discuss the computational aspects of this problem and examine recent methods that have addressed this problem. These methods have modeled the relationship between the latent regulatory network and the observed time series data using the framework of probabilistic graphical models. A key advantage of this approach is natural interpretability of network reconstruction results; and easy incorporation of domain knowledge into the model. We also discuss methods that have addressed the problem of inferring such time-varying regulatory networks by integrating multiple sources or experiments including time series data from multiple perturbed networks. Finally, we mention software tools that implement some of the methods discussed in this chapter. With next generation sequencing promising yet further growth in publicly available -omics data, the potential of such methods is significant.